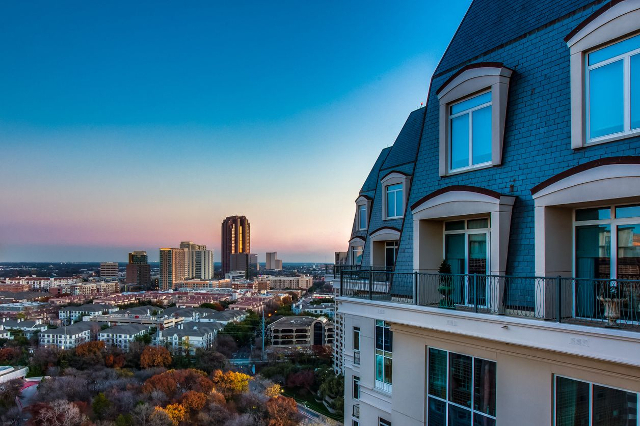 Welcome to our second installment of the Dallas High-Rise Buyer’s Guide as I break-down some of the costs associated with Dallas’ high-rises. 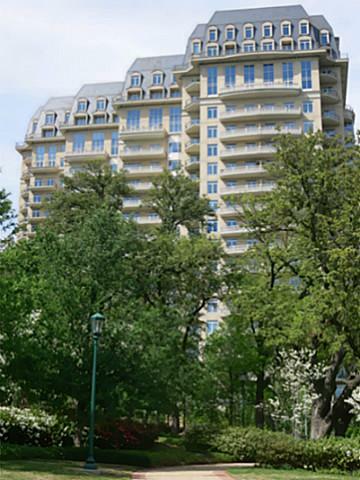 The first installment featured Turtle Creek’s first high-rises where utilities and their costs are contained within their HOA dues. For this installment, I’m moving north of Northwest Highway to detail the Athena, Preston Tower, Grand Treviso, and The Bonaventure. I know you’re thinking that Grand Treviso is in Irving, not Dallas. Well, out there on its own, if not me, who? But before we head north, there’s one more Turtle Creek high-rise that also includes utilities in their HOA dues. Built in 2000, it’s decades newer than its sister-utilities buildings. I’m talking about the Vendome. Surprised? Me, too. But last week’s posting was already really long, so here we are. Basking in the metaphorical Marlboro-hazed afterglow of the recent Exxxotica confab, I remembered there’s another penthouse stripped down to its skivvies and waiting to be dressed up. 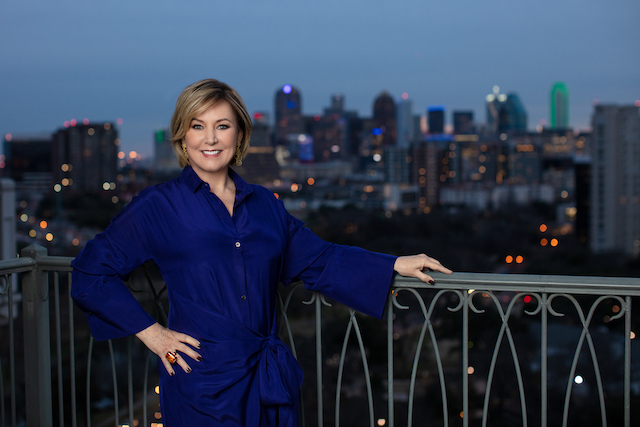 This time it’s the Vendome’s 12,370-square-foot penthouse 20 D/E/F being marketed by Dallas high-rise pioneer herself Judy Pittman. No, I didn’t slip a decimal point, it is twelve-thousand, three hundred and seventy square feet. Lay those square feet out in a single line, it would be 2.34 MILES LONG. As if that weren’t enough, there are nine parking spaces (perfect for Airbnb guests). As you face Vendome, it’s basically the whole left end of the 2-story mansard roof. And I never thought I’d type these words, but at $3.73-million, it may just be considered a bargain! That’s $301 a square foot. Figure another $200-ish a foot to outfit it into the most swish pad in Dallas. In the end, you’ve got a massive and massively personalized home that’s still kinda a bargain. Especially when compared with some other more tumbledown 4,000-6,000 square foot “cottage” penthouses floating around Dallas you’d probably gut anyway. After all, if you’ve got this kinda change in your sofa, you’re going to want to put your imperator on the place, right? Heck, I know I do and my imperator is stamped in Glidden! Note: I actually saw a 2-person chapel 10-feet from the master bed in one penthouse recently. This prompted me to ask what happened in that room that forgiveness was needed so quickly. 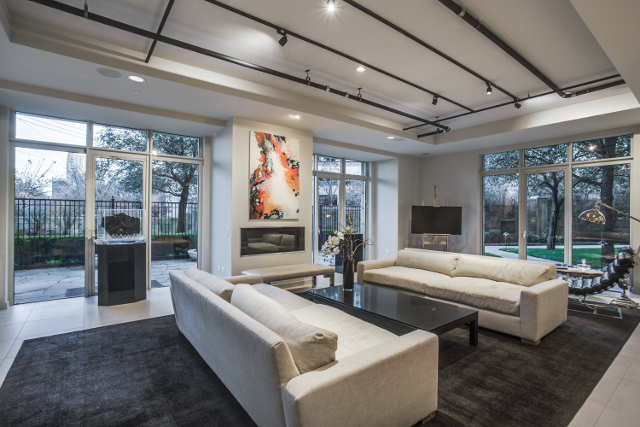 Friday Five Hundred: Luxury Living on Turtle Creek Blvd. And a Marble Master Bath to Boot! Check out that view! 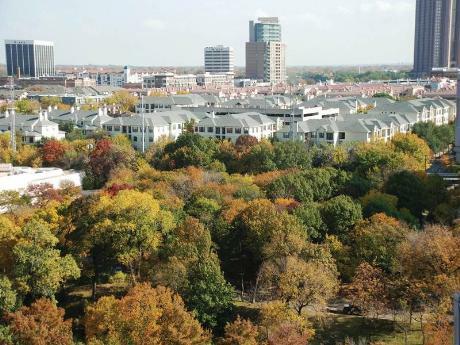 A commenter recently said that the condo and townhome market in Dallas wasn’t healthy enough to surpass the value of single-family home ownership. To answer that assertion, I give you 3505 Turtle Creek Blvd. Unit 12G at the Vendome on Turtle Creek. Just less than 2,000 square feet of stunning! This 2/2.5 condo is just completely gorgeous and the view is just breathtaking. You get two suites that both have balcony access, where you can sip your coffee in complete privacy as you look out over Uptown and beyond. 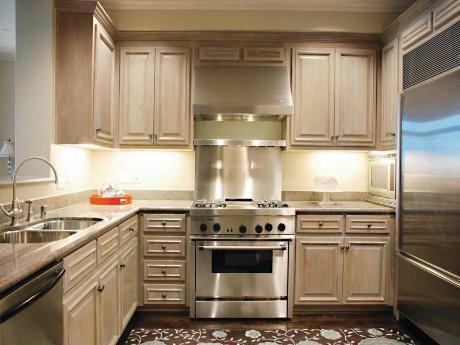 The kitchen in this unit is flawless, with high-end stainless appliances and custom cabinetry. If you’re afraid you’ll feel cramped in a condo kitchen, think again — this one opens to the living area, which has a view that can’t be matched! 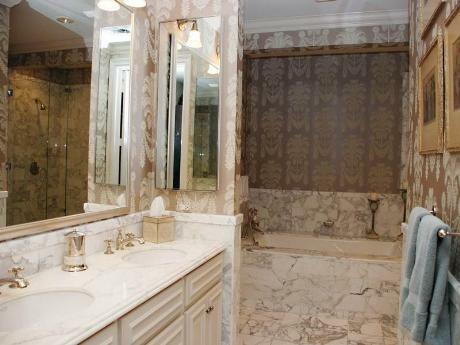 The master bath is what really sells this joint, though. Check out all of that marble! 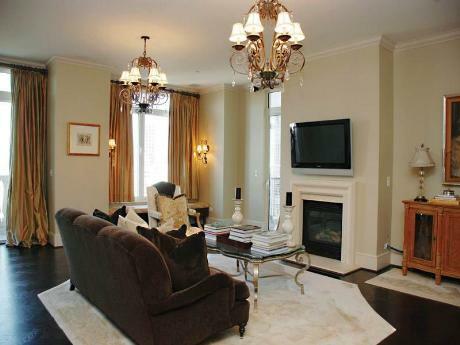 And for just $549,000, this place feels positively opulent! Besides the amazing interiors (try negotiating for the curtains and furnishings!) 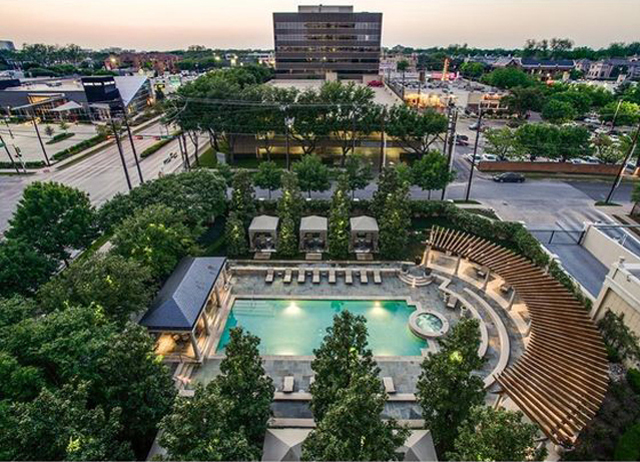 condo owners have access to a resort-style pool, fitness center, concierge, and a dog park!